Get on top of this. Find the right person. Or program. 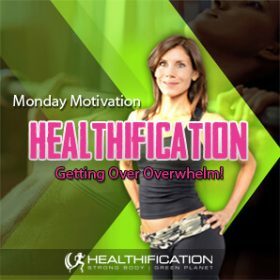 Overwhelm rears it’s ugly head when you allow yourself to dwell on ALL the things that happen to you that you cannot control. It can make you feel helpless. The solution is to FOCUS ON WHAT YOU CAN CONTROL. And to have the discipline to keep your focus to only what you can control while you take action tackling only the most important next step, one step at a time. We always imagine we’ll have more time, energy, discipline, support, money – WHATEVER – in the future! When really that’s never the case AND…You will never get it all done. That isn’t meant to be doom & gloom disheartening! Step One: Prioritize what DOES get done. => Set time guidelines for each action. (this creates a sense of urgency as well as a certain comfort in knowing you’re only at it for a set period of time). => Set a timer when completing each action the following day. Step Two: Make time for the big rocks that keep you functioning effectively. How many hours sleep do you need to function at your most effective and efficient? What works for your body? Honestly. I recommend 80% of your meals are planned and on Goal. So by that I mean one ingredient, nutritious fat burning foods that give your body the nutrients and energy it needs. 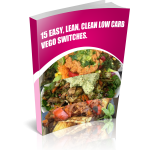 If you’d like some inspiration I’ve got you covered in a 5 part Low Carb High Protein Vegan Meal Plan blog and podcast series. I’ll link to it in todays show notes or you can check out podcast #’s 391, 394, 395, 397 and 398. Step Three: Make time for the big rocks that keep you smiling! I’m serious. If you’re not going to get it all done – and you recognize it’s not about waiting till (insert that perfect time in ‘the future’) to occur… then, its vital to enjoy every. single. day. What do you need to make time for each day to feel Happy, Satisfied, Calm, Energized and to Live Congruent with your values? I’ll also link to a post in which I cover Values in todays show notes. => Friends? Family? Your relationship? Meditation? Your training?! Reading? Step Four: Focus on ONE day at a time. That’s all that is ever required. You can choose to get ahead of yourself, stress about future obstacles that may never even happen and encourage overwhelm OR you can simply focus your energy on achieving your top tasks for today. Step Five: Do a weekly dump to get everything out of your head. All this entails is a clean sheet of paper onto which you release everything that is swimming around in your head. No limits. You can relegate or delegate or ditch (!) it to it’s proper place in your list of priorities once its out of your head. Step Six: Find the systems that make tracking and remembering what needs to get done as easy as possible for you. Whatever you don’t record is going to be floating around in your head – taking up energy & contributing to overwhelm. Once you set up a system you trust, you get to slot each thought into the system and let it go! => I like paper for brain storming and goals/tasks so I go with A4 ical print-outs for monthly and weekly goals… and a separate daily goals template. => I like a ‘to Implement’ and ‘to Buy’ and ‘to Research’ monthly note on my iphone for those impromptu thoughts/ideas that get emailed (to me!) as necessary and transferred on the above paper format at the end of each week. The key is to find the system that makes is as easy, natural and friction-free as possible for you to track the important stuff. I’ve been talking about what you choose to focus on which presupposes overwhelm is something you do as opposed to something that happens to you. That is my belief, because when you do something – YOU CAN CHANGE IT FOR THE BETTER. You’re in control. So, given overwhelm doesn’t just turn up, what do you do to get an outcome of overwhelm? And when you focus on those things… does it always work to get you that outcome of overwhelm? How is that working for you? Is doing that (focusing on those things that lead to you feeling overwhelm) is it getting you the result you’re looking for? However, I’m going to put it to you that on some level it is working for you. On some level it does something for you, gets you something you wouldn’t necessarily get or prevents you from having to deal with something that you would have had to deal with. Awareness of what your overwhelm is giving you is half the battle. Perhaps doing overwhelm allows you to receive support from other people? So, what are some of the numerous preferable ways to connect with other people? Alternatively doing overwhelm could allow you to avoid dealing with a certain fear? Well, now you have that awareness it’s time to stop hiding behind overwhelm and tackle that fear. Before the time of the actionable (!) I’ll leave you with one last tool to tackle overwhelm. It’s one of my favourite fix all tools: The REFRAME. To get actionable today: I’d love to hear your thoughts – Does overwhelm give you an excuse to avoid committing as much time and energy as you say you’d like to, to your health?